4/Mar/2014: Tightened up the merge requesting. Now you can't perform an invalid merge request which could loose player data and corrupt the DB. Also the messaging is improved and notification under the Admin pull-down is added so that admins can quickly see when there are user requested merges pending. Each merge also shows the requestor and when it was requested. Also, requested merges can be cancelled. 30/Jan/2014: Score entry much easier. The page for entering your own scores now offers buttons to press rather than having to click and type in tiny boxes. This is particularly useful for phones and tablets where you needed tiny fingers and excellent eyesight to get the scores in. 7/Jan/2014: Separate 'Find' player menu. Makes it more obvious and easier to find a player on the system. Functionality is the same as before. 27/Dec/2013: New 'Me' pull-down. All the functionality specific to the user is now together under the new 'Me' pull-down at the top. Most of these functions require the user to be registered and logged in. 27/Dec/2013: Added 'Find a player' feature. Just added a focused page for finding players that offers all clubs, counties etc and all time. Find this under the Players pull-down. 27/Dec/2013: Adding personal match results. A user can now add their own match results as long as they are logged-on and playing someone from their own club. They can add their opponent if not listed and they will be added as a member of the same club. This also allows a little editing flexibility for existing matches but you must be registered and logged on and it must be your match. 20/Dec/2013: Links to source systems. There are now links in the player history screens that take you back to the source system for that player. This is usually the league system for the player's county but can also include club systems or Squash Info for the professional results. This doesn't currently work for leaguemaster but that's being fixed soon (in leaguemaster). 19/Dec/2013: Level calibration between counties. The system auto-adjusts player levels within counties so they are self-consistent but it's possible to have inconsistencies between counties. This has become noticable for North West Counties who appear to be a bit low. To overcome this, I've got the system watching out for players who change county, whether as a one-off or reglarly. By monitoring what happens to their level as they change county, the system can learn whether counties are too high or too low and auto-adjust. This will be happening over the next week or so as the adjustments are small but the end-effect will be much better consistency between counties. This also means that your level may change over that time too... please be aware of that. The level based player lists at the end of each event/tournament will be much more reflective of how they played in the tournament rather than the league/box matches in the run-up to that tournament. Note that if you click on a tournament name in the listings, you will get that list - at the time of the last match of that tournament. Player's level history will be a little less volatile. Fast moving players in the rankings will move a little less fast. The actual level values are still the same - it's only the volatiliy that is changing. 4/Dec/2013: Added pop-up help to player list fields. Much easier to find out where all the links go. 3/Dec/2013: Added home page content. If you enter the Squash Levels site via the home page you will now see a short summary of what the site is all about. 20/Nov/2013: Re-use existing players. To reduce the number of manually entered duplicates, the system will now re-use a player from the club if they have the same name as the one being entered manually. 19/Nov/2013: Easy feedback on duplicate players. Possible duplicate players are now listed at the top of the player detail page and anyone can tell the admin if they are duplicates or not. The user doesn't change anything directly as that is left to the system admin to follow up on. 17/Nov/2013: Overide period for event listings. If you select an event that was more than 12 months ago the viewing period is extended automatically to cover that period rather than leaving it at 12 months - which would leave you with an empty list. Also, the level confidence reduction due to time is not carried out for these listings as you want to see the level confidence at the time of the event, not what it is now. 13/Nov/2013: New page for explaining levels. If you click on the percentage change, you now get a page explaining how that change was calculated. 12/Nov/2013: Use level range for better players. When there's a big difference between the players, the level algorithm now applies a range of possible levels for the better player (from friendly to nasty) as it's not possible to know where in that range they are playing. The level only changes if the better player has been playing outside of that range. 10/Nov/2013: Better log-in session. Simplified the log-in session check so that it doesn't break so easily. This should allow you to stay logged in permanently now instead of getting kicked off frequently. 31/Oct/2013: Added rule checks for order changes between clubs. The automatic player order checks have been extended to check for player movement between teams as well as within teams. Team order is based on division order so there's a problem if there are two teams from the same club in the same division - so, for now, the rule checks output inter-team order infringements but don't add the penalty. 30/Oct/2013: Added county admin support. Registered users can now be assigned as county admins and they are able to check for duplicate players in their county and merge them. 26/Oct/2013: Improved multi-county listing. For those players who play regularly in more than one county, the county listing will now include them if they have played in that county during the time period requested - instead of just the last county they played for. 24/Oct/2013: Show club in player history. Added the club name to the results shown in the player history. Set the link to show all the club players for that club and highlight the player if they're still in that club. 23/Oct/2013: Added hover-over help. Started to add help to specific fields. 22/Oct/2013: Added Kent league. 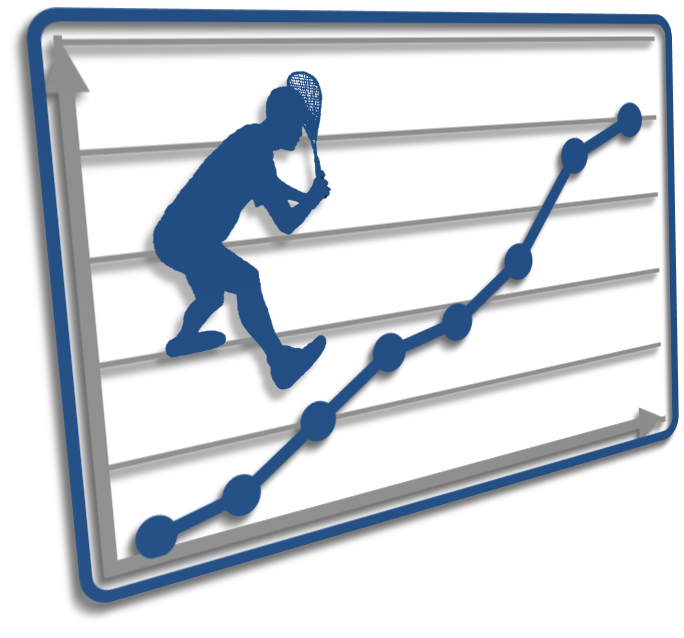 Now auto-pulling match results from Kent league ito Squash Levels. 20/Oct/2013: Multi-county player lists. To allow for players who play regularly in more than one county, the player lists now show players who have played at all in the county being viewed during the time period asked. 17/Oct/2013: Club admins can move players. A club admin can now change the club of any player thus allowing them to bring a player into their club rather than having to wait for the other club admin to move them across - which never happens. 16/Oct/2013: Added site usage. Added the site usage chart to the Squash Levels system. Also added a link to send a feedback email. 16/Oct/2013: Auto-received matches auto-updated. When matches are received from other league systems they are compared with the matches already on the system and only changes are updated. This removes the need for continuous deletion and re-insertion which is consuming and changing IDs. 15/Oct/2013: Match update tracking. Added first entry date and update date and who updated it. Handy for finding out who and when made a suspicious change to the match results. 13/Oct/2013: More complete registration. Added for Squash Levels system, allows users to register, assign a specific player to their account and update their club, county etc. 10/Oct/2013: Added forum. Forum from badsquash league site is re-used. Need to be logged in to use it. 8/Oct/2013: Added Surrey league. Now auto-pulling match results from Surrey league ito Squash Levels. 6/Oct/2013: Added user mode. Allows the user to have a 'county focused' view of the system which is useful when it's got the results from so many counties on it. For Squash Levels. 5/Oct/2013: System to system result transfer. To support the automated pulling in of match results from other league systems. 11/Sep/2013: Now show result entry details. Shows date and tie the results were first entered and who did the last update. 5/Sep/2013: Added mailto link for boxes. Allows user to open email to everyone in their box. 30/May/2013: Added page to show player participation by month for all clubs. Doesn't show singles matches yet. 28/May/2013: Added option to exclude all league matches from the rankings. Uses a radio button in the league properties so this can be controlled by league. 30/Apr/2013: Added 'Mail all' button to the boxes. Allows the club admin to send a mail out to everyone in the boxes. Just includes the link to the boxes for now. 30/Apr/2013: Added a 'play by' title to the top of each printed boxes screen. I noticed this was being done by hand at some clubs so I've automated that now. 27/Apr/2013: Added player analysis to edit player screen. Allows the club/county admin to analyse the results of the player and override the automatic setting of the initial level if desired. 26/Apr/2013: Added player editing from the payer history screen. Easy access to player details rather than having to go via edit player. 25/Apr/2013: Added automatic setting of initial level. Gives more accurate levels right from the first match. 20/Feb/2013: Added style controls to news items. One advantage of the update - we can do more in the text entry formatting of the news items. 19/Feb/2013: Re-added document upload. We lost the ability to upload documents for news items when we updated the code a couple of months ago. This has been re-added now with instructions. 5/Feb/2013: Added SPA site. We now have a parllel site for the professional results. 2/Feb/2013: Added pull-down for setting player positions in boxes. Easier than using numbers. 10/Jan/2013: Fixed 'about' pull-down issues for non-BAD clubs. The about pull-down list was showing only BAD squash information but this is now fixed to show the correct information for the site. 8/Jan/2013: Highlight of divisions and matches played in for logged on players. If you are logged in and have set your player name up correctly in your preferences then you will now see any divisions you have played in on the left hand side shown in bold and any matches you have played in in the division matrix shown as larger text. This just makes it easy to find matches you have played in. 29/Dec/2012: Show only active clubs. The clubs pull-down now offers two options; active clubs or all clubs. The active clubs are those that have played in the league in the last 12 months. 27/Dec/2012: Added division option to fixture generator. Allows the fixtures to be regenerated for a single division as well as the entire league. Handy for rearrangements. 14/Nov/2012: Increased the player level damping for pros. At the very top level the pros really can't be improving or otherwise at the same rate the rest of us 'down here' are. Some odd results were distorting the pro levels so the damping has been significanly increased for these guys. Damping is actually increased the further up the levels you go. 14/Nov/2012: Added site description. A handy place to list the principles and features of the site. Refer any interested parties to this page for a good overview. 9/Nov/2012: Only send penality emails once. If the same message with the same subject has already been sent to the same address then it will not be sent again. This is to stop the constant 'every night' messages that go out. Don't lose the message now! 9/Nov/2012: Added this update list. 7/Nov/2012: Ignore some results for ranking. If a match is recorded in the DB as 'exclude' then don't include it in the ranking processing. Still need a means by which captains can select the match but the capabilty is there now. Please see Richard.Bickers@hp.com for any queries relating to the above features or the site in general. SquashLevels website, code and player level algorithms © 2006-2019, SquashLevels Ltd. Page time: 0.03s.